I went to a funeral yesterday. No, you didn’t know the man who had died and it’s likely you didn’t know his family. Even I had only a brief acquaintance with him and his family, but it happened that a member of my family had married this man’s daughter and I’m glad I bestirred myself to attend the man’s departure ceremony. Patience. I’ll tell you why. To begin with, the two families that were united by the marriage of (let’s call him) John and his wife and her daughter and my cousin are from different ethnic cultures and different races. The funeral chapel was filled to capacity with every color of human, every manner of grieving for this ordinary, remarkable man. The music performed ranged from “Time To Say Goodbye” through Country-Western to opera. 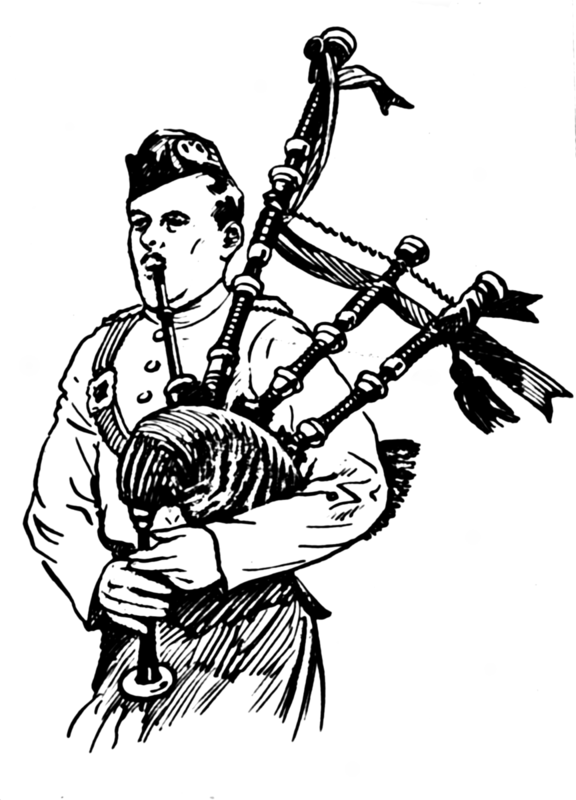 There was also music representing John’s ancestors’ culture. The minister spoke of the glories of the afterlife, the rewards of a life well-lived, etc., etc., and it was clear he didn’t know John or his wonderfully variegated family. The impressive part of this memorial, though, was not the music or the minister or the message; it was the spoken reminisces of his friends and family. John was a man who loved others; he was a good friend, a helper, a facilitator, an accepter of differences. For many years, he had a business which put him in contact with all manner of people and he was known as a “soft touch.” He would try to help anyone he could, his generosity sometimes putting his own finances at risk, according to his friends. He had a mischievous sense of humor, a dry intellectual wit and a sense of fun that remained in the fond memories of his family and his neighbors. His nieces remembered John taking them to concerts, all kinds of concerts, and how they enjoyed those special times with their uncle. His neighbors told of the fabulous desserts he’d make to share with all. As one by one, his friends and family spoke of John and recounted stories of his deeds and his joy, I wished I had known him better. The impressive part of this memorial, though, was not the music or the minister or the message; it was the spoken reminisces of his friends and family. If you’re lucky, once in a while you will come across someone like John – an unforgettable person who even at his last rites brings smiles and happiness to those he touched. People like John are to be treasured, as John was and will forever be in the memories of his friends and family. I know they will tell stories of him for years to come and they will laugh and cry for missing him and laugh for remembering him. Driving home, I pondered (as one does) what would be said about me when I could no longer come up with a smart riposte or a lame excuse. I measured out the joys of my life and hoped that I had shared them, as John did, in such a way as to bring joy to others. I, too, would like to be remembered as one who joins together cultures and ethnicities and races, but John has set a very high bar. I hope that you will share some joy with me at our April 28th concert presentation, the Finckle/Han/Setzer Trio. You will find beauty to share as you listen to this remarkable trio, known for their exquisite mastery of the piano trio genre. We’ll be at Temple Beth-El and students and active duty military will be admitted free. Come enjoy! Here we are, just a few days before Thanksgiving and the official start of the Christmas season. The River will soon be festooned with lights, downtown buildings will sport lights and decorations and cars will sprout antlers and red noses on their hoods. In my house, there is a slight vibration, a humming sound coming from a kitchen cabinet – and I know what it is. It is the atoms that make up the special, green pottery bowl; they are quivering with anticipation of their annual holiday turn. You know there has to be a story here and here it is. Years ago, I became the current keeper of a large bowl. It’s an ordinary-looking bowl: made of sturdy pottery, a dark jade green in color and with a wide rim that allows a firm grip. It holds about 2 quarts, I guess, although I’ve never tested capacity. I suspect that it may have been one of a set of green pottery bowls, but I don’t know for sure. Anyway, if it was, it is the sole survivor. And why is it special, this rather homely green bowl? 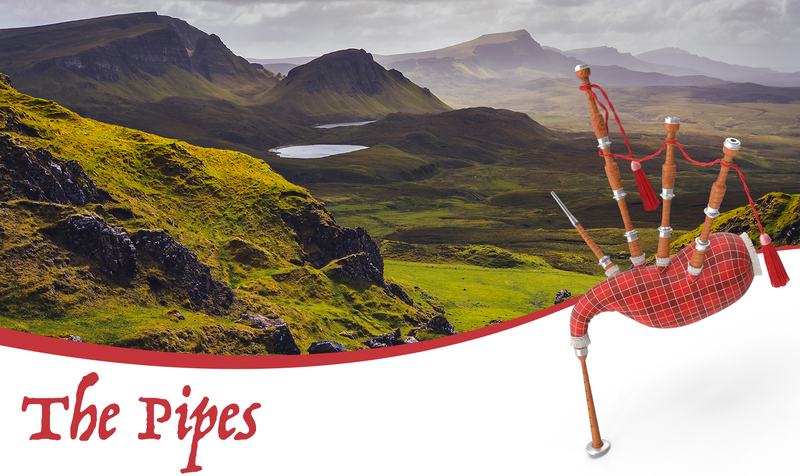 Originally, it was in the care of my grandmother, a dairy farmer from Ireland. Perhaps the color appealed to her, perhaps it was the heft of the pottery. She was a lady known to be a superb bread maker, and the green bowl would have been just the right size and shape for dough. Then the bowl came down to my mother. In my recollection of home, the same home where my grandmother had lived, there was a large, walk-in pantry that smelled of spices and contained rows of mysterious glass jars and bins for flour and sugar. There on a shelf was everything needed for holiday meal preparation: a big, black roaster oven, ample enough for an enormous turkey, the pot that was big enough for a dozen or more potatoes (not to be mistaken for the sweet potato pot); there was the colander you’d need for the green beans; the pie plates for that special pecan pie that only my mother could make; the cut glass dish for the cranberry sauce – and the green pottery bowl. Originally, it was in the care of my grandmother, a dairy farmer from Ireland. Perhaps the color appealed to her, perhaps it was the heft of the pottery. She was a lady known to be a superb bread maker, and the green bowl would have been just the right size and shape for dough. In my experience, the green pottery bowl was only used to make dressing for the Thanksgiving and Christmas turkeys. (Some call it “stuffing,” but I think that sounds like something you’d put in a mattress.) Three or four days before the start of the serious preparation began, slices of bread would be arranged on baking sheets and left in a sunny window to dry out. Then we’d make corn bread that included a little bacon grease in the mix. And then someone would be assigned to very carefully lift the green pottery bowl from the pantry shelf and wipe it with a dish towel. In goes the cut-up bread, in goes the cubed corn bread, in goes the celery and spices, in goes the stock — and the magic begins. So now I have made holiday dressing in the green pottery bowl for more than 50 years. It has traveled the world over with my dishes and pots and pans, but is only taken down from its special place for the creation of dressing. I suspect that this bowl carries within its pottery some very special spices, some magical ingredient that three generations of women have ingrained into it. It has a little bit of Ireland, a little bit of Texas farm, a smidge of Bolivia, a taste of Argentina and of Brazil and a cold, cold touch of Quebec stored away in its elemental clay. This is a bowl that knows its place and its role, and always gives its all to every holiday feast. It has not a chip or scratch, it has NEVER experienced a dishwasher and will be passed on to yet another generation in my family. It’s probably not worth the pottery it’s made of, but in my family, it is a treasure. In these coming days, I will carefully lift the green pottery bowl from its place in the cupboard, wipe it out with a dish towel, think of my mother and grandmother, and start making the world’s best dressing! I hope you too have a treasure and a tradition to enjoy this holiday season. And here’s to all the cherished green pottery bowls. Best wishes from your friends, the San Antonio Chamber Music Society. I am presently surrounded by all of my worldly possessions: everything from a grade school picture to my mother-in-law’s best crystal candleholders; every possible-sized pot and dishes from at least 3 sets; hair brushes of unknown provenance, pots full of defunct ballpoint pens, 4 oriental rugs of varying sizes, and one forlorn dwarf bamboo in a moldering pot. And that’s only what I can presently see! As I relocate from my home of 25 years to an apartment (which I thought was spacious), I have learned some valuable lessons which I will impart to you. You know you’re getting old when you need more space for your medicine collection than for your makeup (and note that all your makeup, which has been hidden away for years, begins with some variant of “anti-aging”). If you say to yourself, “Where did this ever come from?” or “Is this mine?” toss it! If you haven’t seen/used it in memory, you don’t need it. If you and your significant other are still on speaking terms after a couple of weeks of this, you’re good for all eternity – or at least until one or the other of you walks out in disgust. Keys. If you have any idea of what all these keys you’ve accumulated over the years unlock, you’re a better person than I. Corollary: put tags on all keys while you still have some idea, albeit vague, of what they go to. Another corollary: do you know how hard it is to throw away a key? What if…? Carefully label all boxes as they are packed. That way, you’ll have a perfectly good reason to burst into tears when, unpacking, you find your good silverware at the bottom of a box of coat hangers. When you just can’t take the sight of clutter as far as the eye can see, when your beautiful, light-filled apartment is pitch black because there are boxes stacked against the windows, when you find one more piece of something you know goes with something else but you can’t remember what and you don’t dare throw it away because you know that sooner or later you’ll find what it goes to, when it’s all just too much – well, it’s time to find a wine glass and a bottle of good wine, put the classical guitar music on and just try not to think about it for a while. It will still be there when you’ve finished the wine, but you just won’t care. I feel like a coral reef without the pretty fish! Layers upon layers of boxes, paintings, pitchers and pictures, lamps and lamp shades, international things that I’m sure caught my eye in Bolivia or Beijing, Egypt or Copenhagen – what is it and why do I have it? Or does it have me? How did all this stuff accrete to me? I feel like a coral reef without the pretty fish! Layers upon layers of boxes, paintings, pitchers and pictures, lamps and lamp shades, international things that I’m sure caught my eye in Bolivia or Beijing, Egypt or Copenhagen – what is it and why do I have it? Or does it have me? I look enviously at refugees, carrying all their worldly possessions in bundles and, while I don’t wish to be in their number, I respect their ability to put all of their really important possessions in a sheet or serape, bring the corners together in a knot and sling everything over their shoulders. I did miss one very important lesson: if you can find some clean clothes somewhere, put them on and come to a concert. November 11th, the American String Quartet along with Tom Sleigh and Phil Klay will be performing at our regular venue, Temple Beth-El, at our regular time 3:15. You can come inside, shut off the clutter and confusion for a couple of hours and just relax, re-lax. It will all be there when you get back, but I am a believer in escape, no matter how transitory. And if you see someone with a serape full of possessions over her shoulder, well that will be yours truly. I know when summer’s about played out when the “end of season” catalogues begin stuffing my mailbox. “Seventy percent reduction,” they scream. All the wonderful merchandise the shop couldn’t peddle during spring and summer (and some left over from last summer’s sales). There’s that suit I craved when I first laid eyes on it in the spring catalogue. “New for summer!” the headline blared. “Cool, well-styled, just the outfit for office-to-evening,” they promised. But, oh boy, it wasn’t cheap. Now it’s the perfect “transitional” suit – whatever that means – and the price is half what it was in the spring catalogues. I’m not biting. I’ve gotten this far without it; what’s a couple of months more. Another catalogue that arrived yesterday was filled with merchandise for Halloween and, yes, Thanksgiving. Another catalogue that arrived yesterday was filled with merchandise for Halloween and, yes, Thanksgiving. Oh, pul-eeze!! I’m sure the next one will be touting Christmas wares. Can’t we just enjoy the waning and still beach-worthy days of August without the constant reminders that time is marching on? I don’t know if I’ll even survive until Thanksgiving, let alone decorate my Thanksgiving table with themed placemats, napkins and centerpieces. Ugh! In the interests of complete disclosure and truthfulness, I used to write advertising copy for a long-gone department store (remember those?). The challenge was to grab the attention of the newspaper reader (SALE! In 36 point letters would usually accomplish that) and then to convince them that this was an item he or she had to have. Oh, and everything had to fit in the space allocated by the evil layout designer, Helen. I still have my well-worn and thumbed through Roget’s Thesaurus. How many ways can you say “exquisite”? And while I’m confessing my sins, I might as well tell you that I voraciously read out of town stores’ ads, magazine copy and even catalogues for bits and pieces I could use. My boss thought I was a creative genius. If only she knew…. I recognize the challenges faced by a catalogue copywriter and, really, I sympathize. So I recognize the challenges faced by a catalogue copywriter and, really, I sympathize. But just as it was hard for me to gin up enthusiasm for Christmas copy in September, it must be murder for these poor hacks to rhapsodize over fall fashion sometime in April to make their mid-summer deadlines. If you’ve just walked two or three blocks to your cubbyhole (copywriters don’t get real offices) in the blazing heat of July, it’s darn nigh impossible to switch your gears to contemplate the wools of November. To write about ski gear in August, swimsuits in January and, gag, Christmas wreaths in September takes a very special kind of crazy. I know. Check your personal stack of newly-arrived catalogues, though. Lurking amid all those incredible bargains and must-have merchandise, I hope you’ll find one that reads (in 18 point), “2018/19: A Stellar Season.” That’s doesn’t qualify as a “screamer,” as we say in the trade, but I hope it speaks to you. 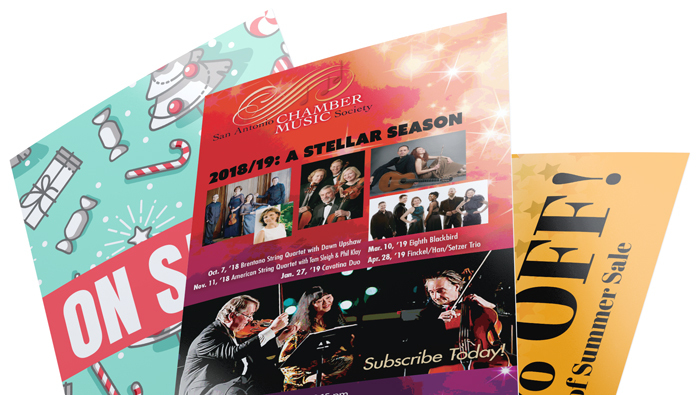 That’s the season offering of the San Antonio Chamber Music Society and the subscription form. If you have to say goodbye to summer, what better way than starting off the concert season with the Brentano String Quartet plus soprano Dawn Upshaw on October 7? “Glittering clarity” is how The Strad described their music. Man! I wish I’d written that phrase! American String Quartet with “Lyric in Time of War” with poet/narrator Tom Sleigh and writer Phil Klay USMC ret. Finckel/Han/Setzer Trio, the stellar group which has taken over from the Beaux Arts Trio as the standard bearer of piano trios. Reverting to my copywriting days – Only $100 will buy a season ticket PLUS 1 bonus ticket that can be used at any concert!!! AND any ticket may be used for any of the 5 concerts!!! And students and active-duty military attend our concerts FREE! Just call 210-408-1558 to reserve your season ticket or order online. I will recognize you, you know: you’ll be the one in the “transitional” outfit, right?